An Erasmus in Denmark would have decided her future. From Copenhagen, where she met the man of her life, to Malmö where she lives with her family today. For the monthly interview with Mamas around the world, we meet Wanda, an Italian mum at the North Pole. Wanda, tell us a little bit about yourself. Thank you Francesca for hosting me on your blog but… Do you really care? Then I start. I am Wanda, at the threshold of f***, with so many dreams done, others still waiting, others lost on the street. I am from Cuneo in Italy, a town I have always wanted to escape from. In short, life in a village wasn’t for me, so I took every opportunity to realize my dreams elsewhere. My motto is: when you wake up in the morning you have two choices, go back to sleep and dream or get up and chase your dreams. I have always opted for the second alternative and I must say that I have has almost ever been settled for. I have been always told to be stubborn, I consider it a compliment because it is thanks to my stubbornness that I am where I am, and I don’t speak only geographically. When I was in the high school I was bullied, everyone scoffed me with nice words (which I’m not repeating) but what hurt me most is when they said I was stupid. What if I listened to them? Maybe I wouldn’t be here today, with my three degrees in my pocket. They can be just pieces of paper for many, but for me it’s the proof that they were wrong and I was right. An Italian mum at the North Pole. Why Malmö and how long have you lived in Sweden? How was the impact with this city, how did it welcome you? Why Malmö? I should start saying why Sweden. I am here because during the Erasmus in Denmark, a Swedish dude has approached me with a sonnet of Shakespeare and I fall in love with him at the first sight. You can find more about this story on my blog, anyway the result is that the Swedish dude became my husband (in 2005) and so I ended up in the north, in Uppsala to be accurate. 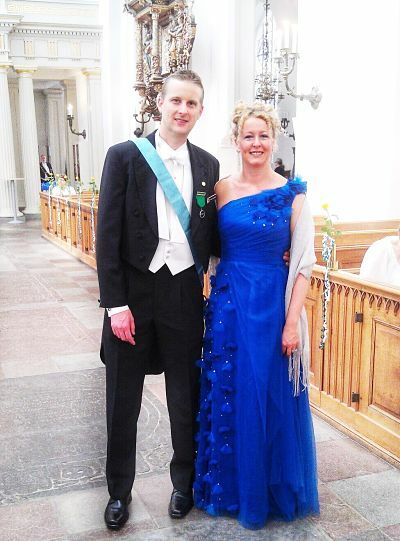 Two years later my husband got a better position and we ended up in Malmö. 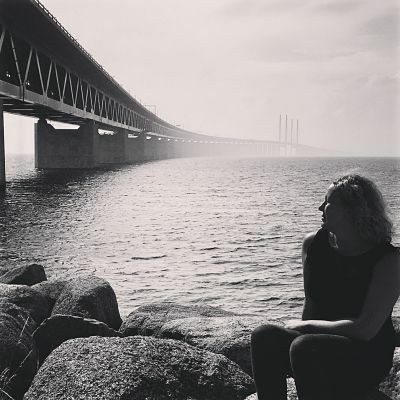 I visited Malmö even before meeting my husband, when I didn’t ever imagine that I would have come to live in Sweden. You must know that Malmö is connected to Copenhagen by a bridge. I crossed that bridge once when I was an Erasmus student in Denmark. It was a hot summer day and I was coming to Malmö for the Malmöfestival. I walked in the pedestrian street and listened to music in a square, I remember that the first impression was positive. Malmö is home for me, a city with pros and cons but that gave me and continues to give me so much. Malmö is the city that I would have never to leave and that I miss when I am in Italy. 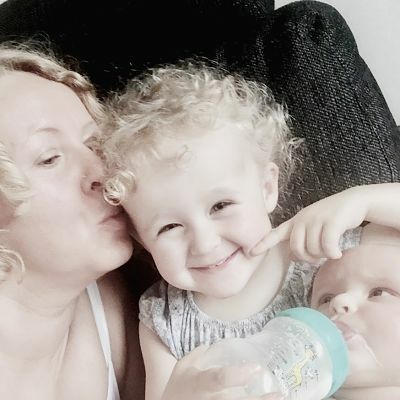 What does it mean being an expat mom for you? I don’t know exactly what this word means to me. 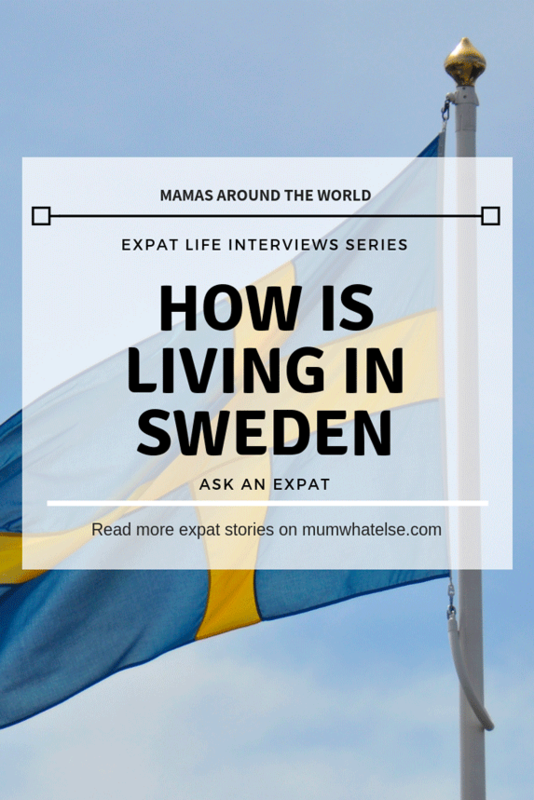 I can consider me an expat because I wasn’t born in this country but I have the Swedish citizen. My husband is Swedish and therefore I have a direct contact with the culture of this country that hosts me. Also my children are born here, they are half Italian and half Swedish but they will probably grow up more like Swedes than as Italians. I mean, I think I’m an expat, but I don’t feel in that way. This is my home, when I am in Italy I feel on vacation. Pros: I like its open mindedness, that is miles apart from Italy. There is more integration and respect for diversity, a lots of maternity and support for parents and children. What I like most is confidentiality; In Italy, whatever I did, there was always someone who felt obliged to tell me his opinion, without wondering if I wanted to hear their critics or opinions. Here everyone goes for their own way. Cons: what is written above. Confidentiality makes them an impregnable fortress. It’s difficult to meet someone, for example at the bus stop, which tells you “what a beautiful day today” without knowing you. In the beginning it is difficult to socialize but then, two or three beers after, it is pretty much easier make new friends. Nothing! I am joking, almost nothing. Maybe one thing: the sun, I prefer a longer summer with a dozen degrees more. I can’t say I left a family in Italy, the family is the one I created here with my husband. I have real friends here who have never pulled back when I needed it. However I have dear friends in Italy that I would like to meet more often than once a year. Most of women in Sweden are working, the employment rate is 78% against the average of the other EU states (which is 57.3%) and I was surprised to know that almost half of the workforce is female (EU source). Why do you think women in Sweden can have both a family and a career? What are the support policies for families and women? I am not surprised that the percentage of working women in Sweden is so high. To be honest, I thought it was even higher. I haven’t met a woman yet who says she wants to stay at home to raise her children. If you don’t work here, you won’t have a pension. Besides, women have the opportunity to work because the system allows it. They are entitled to a year of 100% paid maternity leave, after which the child is admitted to the nursery and can stay till parents can pick up them. The nursery costs less than € 200 monthly and all meals are included. Did you give birth in Sweden? H0w did you find the Swedish health care system? I gave birth in Sweden. Two C-sections, the first one was an emergency and the second was planned (I don’t go into the details). I had many complications during the first delivery but I was followed by very talented doctors. Unlike many others who complain about the quality of the health care system, I can only confirm the efficiency of the system. In Sweden a pregnant woman doesn’t pay for anything, delivery is free. In some cases you can pay for a visit from 20 to 40 € and if you stay in the hospital you have to pay 10 € per night (meals included). In case you exceed a total expense of about €200 for health costs, then for a whole year you don’t have to pay for anything. 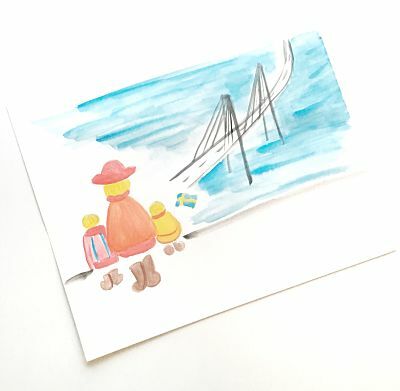 What do you suggest to a mom who is thinking to move to Sweden? If you are thinking to move to Sweden to look for work, I would say to stay in Italy. Ugly to say but often Italians come here to find work because someone says it is simple. Then they end up doing the dishwashers in some pizzeria, which they could do in their own country. If you don’t have a contract, you don’t have access to the Personnummer (a kind of tax code) and you can’t open a bank account, study the language for free, rent a house, find a job… Briefly, you are in a dead end. It’s definitely better to come with a a contract of job. In this case I would recommend not to come with too many expectations. This is no the Candy land. This is not a perfect country, there are things that work better than in Italy, others a little less. I don’t know… yes. I would add (regarding the previous question) that Italians should stop complaining when they emigrate. It is normal to find the differences at the beginning, and you can’t expect to find the same quality of cuisine as you were used to in Italy. You have to adapt to the new country and its habits. I heard that Italians tell the waiters in the restaurants how they should cook the pasta or make the fish (ridiculous isn’t it?). Thank you for reading me, if you haven’t fallen asleep halfway. Find Wanda also on Instagram and this is his blog. Hello, I am Francesca, a digital marketer and a former tv producer. I have two kids and we moved to London to follow our dreams. 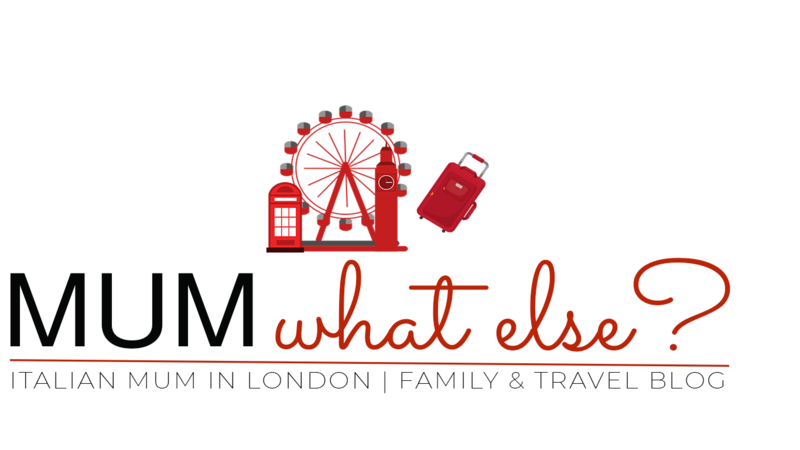 This blog is mainly about our family adventures in the UK and my passions. 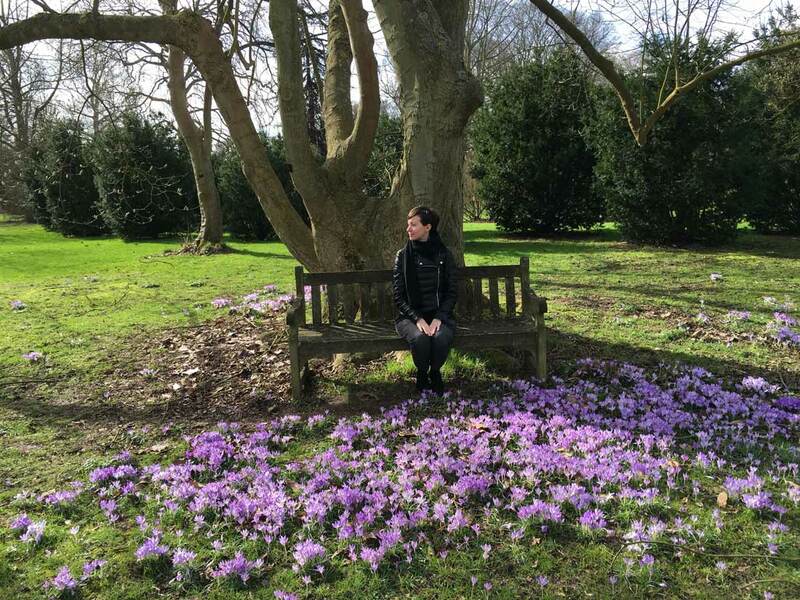 You will also find information about the expat life as well as some tips for visiting London: secret spots, where to eat, itineraries and kids-friendly places. 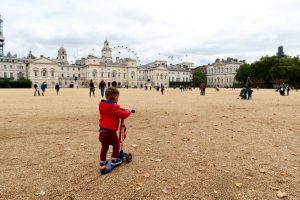 How to get around London with kids: Oyster card, Travel card or Contactless?